Designed for very large corporations, category sponsorship offers a number of unprecedented advantages particularly in terms increased visibility and lobbying and access to premium services of the Chamber of Commerce. As a VIP member, businesses receive preferences in many different fields of activity of the Chamber of Commerce to become more visible, to receive support in lobbying and access to our large databases and range of services. To be affordable for SMEs this category provides with best packages for the one who seek to invest for development within a new framework, with support tailored by the Belgian-Luxembourg Chamber of Commerce. - Trade Missions: Belgian-Luxembourg Chamber of Commerce in Russia organizes both Inbound and Outbound Trade Missions to establish a greater network of private and public sector entities and provide firsthand knowledge of trade relations to our members. Trade Missions identify multi sectors High-technology for growth in infrastructure development, Transportation, Pharmaceuticals, Petroleum industries, Chemistry, Automotive, Aeronautic, Machines-works, construction & material for construction, etc. - Organization of the seminars and conferences. - Providing with consultancy services. - Identification of the potential business partners. - Market Studies: finding your competitive advantage, market size, key players and growth forecast. - Customized business reports on the enterprises working at the Russian market: knowing your partners credentials and records is critical in achieving your business success in the new market. reliable, quick and price competitive service as we deal directly with the Russian authorities such as the Ministry of Justice and State Registration Office. We work so efficiently with the Russian authorities that, when establishing a representation office, it is not even necessary for you to come to Russia as we will handle all the paperwork from distance so that you save a lot of time and travel expenses. Individual package exclusively provides, for individual entrepreneurs, lawyers, who want to participate in the activities of the Belgian-Luxembourg Chamber of Commerce, a range of services in all areas of business, promotion, information, contacts etc. - Accreditation of Representative offices and affiliates in Russia, registration for legal entities incorporated and existing under the Russian laws. - Banner and advertisements on the web-site and in the monthly Newsletter. - We provide substantial discounts for our services to the members. 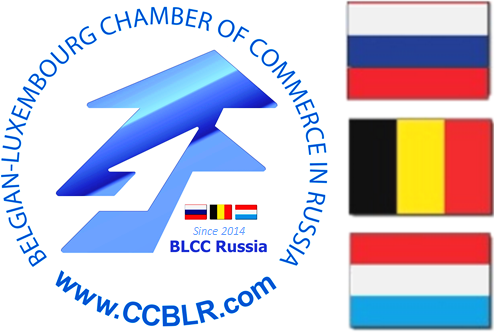 After careful consideration, I have made ​​an informed decision to offer myself as Chairmain of the Belgian-Luxembourg Chamber of Commerce in the Russian Federation. 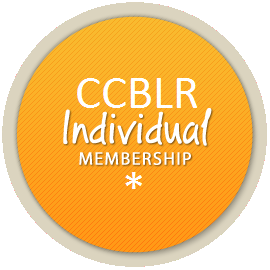 I have a strong desire to continue my involvement on the board of the BLCC RUSSIA and grow with the organization. I am passionate about the environment in which we live and I have at heart the development of economic relations among our countries. Geting involved in the board made ​​me participate in key projects for our member’s businesses and industries. Several issues seem to worth developing and continuing. I believe that we must maintain and promote our membership which has been rising since our opening in Moscow. We must remain a strong Belgian-Luxembourg Chamber of Commerce to keep our enviable and unique position in Russia. In addition, it is essential to continue our mission that is to influence decisions about the continuities of development of trilateral economic relations. It is also crucial for Belgian-Luxembourg Chamber of Commerce in Russia, to support and strengthen ties with the Brussels and Luxembourg offices of BLCC. Our dynamism and sense of innovation contribute to our mutual growth. I firmly believe that the team of the BLCC RUSSIA and its board of directors are important components of the success of our noble mission. In the coming months, we will continue the work started more than 40 years ago to develop new avenues to spotlight our Chamber of Commerce and its members! That's what I pledge to you today. Please, join us! I sincerely thank you for your trust.